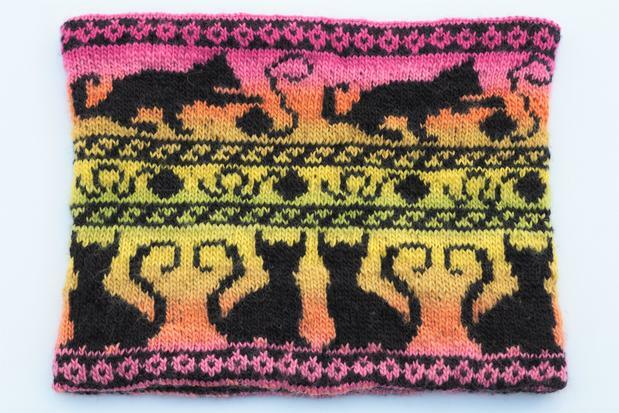 Cats scamper and pounce along this delightful reversible neckwarmer! 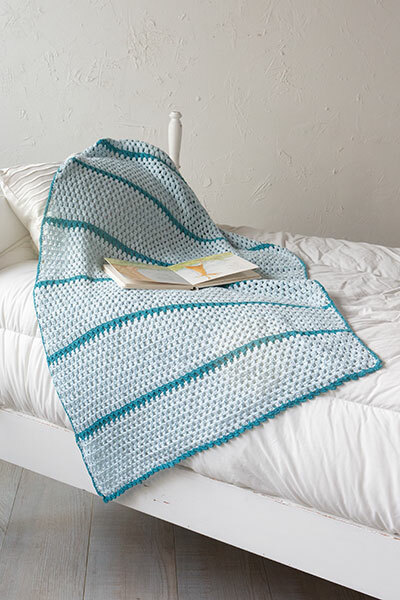 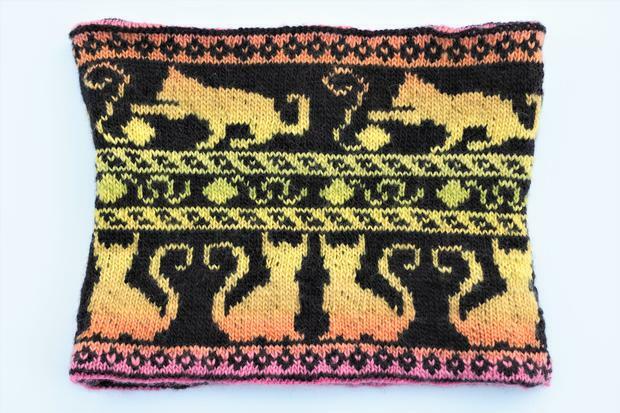 The stranded knitting designs feature cats with swishing tails, kitties swatting at balls of yarn, and yarn balls bouncing across the floor, each separated by narrow Fair Isle bands. 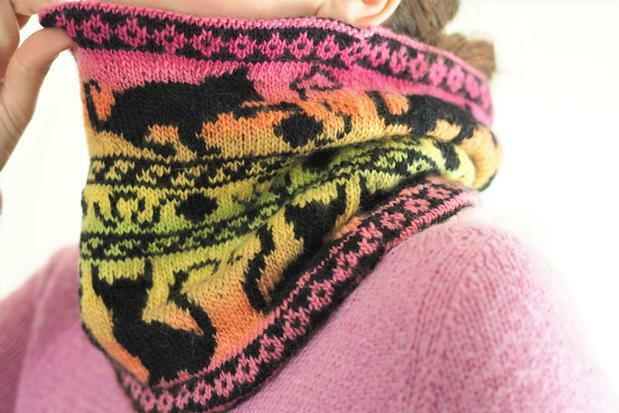 Beginning with a provisional cast-on, the neckwarmer is knitted seamlessly in one piece on circular needles, folded in half, and grafted with Kitchener's stitch. 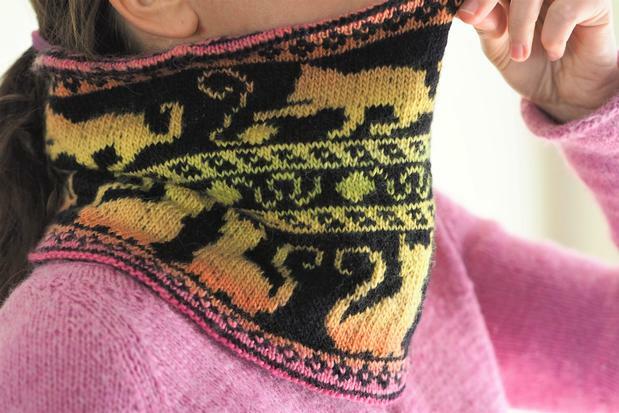 While it is single knit, the cowl is reversible and gives the appearance and warmth of double knitting. 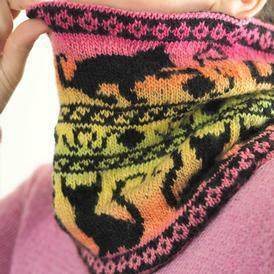 Reverse the neckwarmer by flipping it inside out.